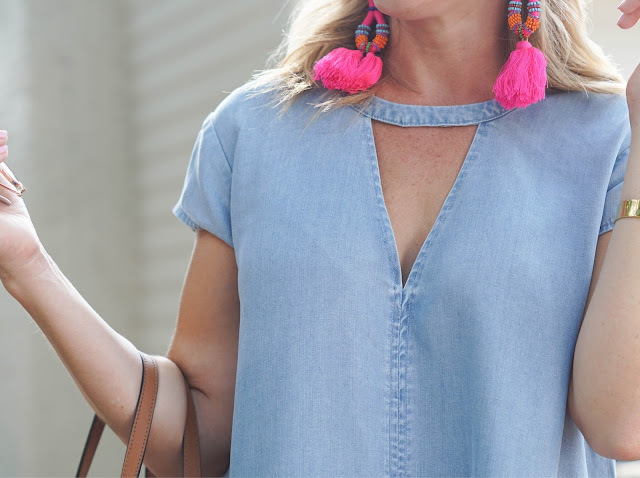 An easy, everyday dress in a classic chambray. I love the A-line hi-low hem of this dress. One of the best parts of chambray is it's versatility. Everything goes with it! I love it styled (like I did here) with bold, colorful jewelry. Our Summer is filled with kids sporting events, so I think this would be adorable with a ball cap and sneakers or flip flops. In a couple months, I'll be pairing this with cute little booties. Back to these gorgeous earrings. I ordered them last week. When they arrived, I was shocked at how big they were. I tried them on though and fell in love! 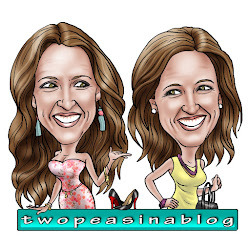 If you are unsure about such a bold earring, this pair is very similar but much smaller. What are your weekend plans? Our son has a baseball tournament and our daughter has a softball tournament, so it's going to be busy. 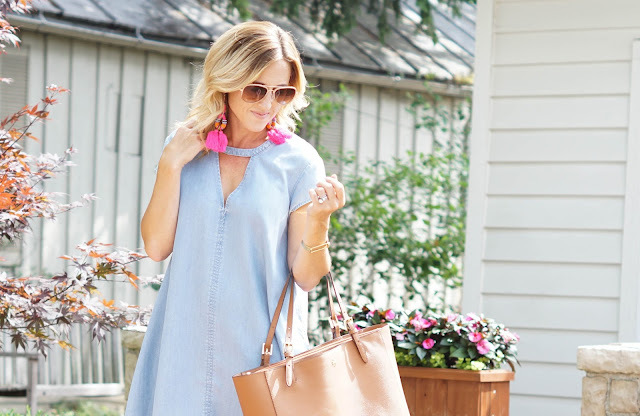 I love a chambray dress!! Aren't they the best!? And chambray tops! I have a few and wear them all the time. 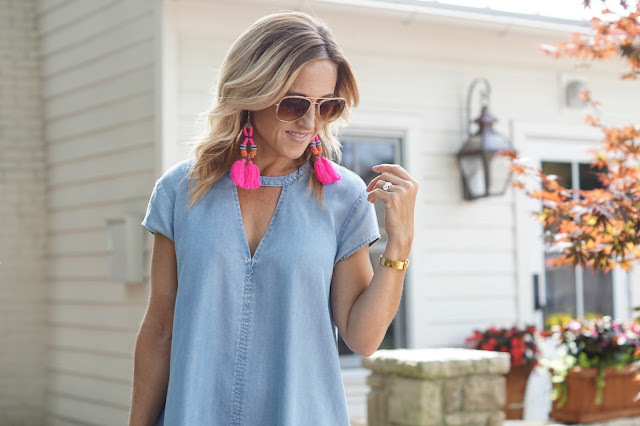 chambray is such a pretty fabric for summer!!! Agree! And pairs perfectly with everything.